Central and south east stations - Crossrail . For information about the Elizabeth line please visit the Transport for London website. 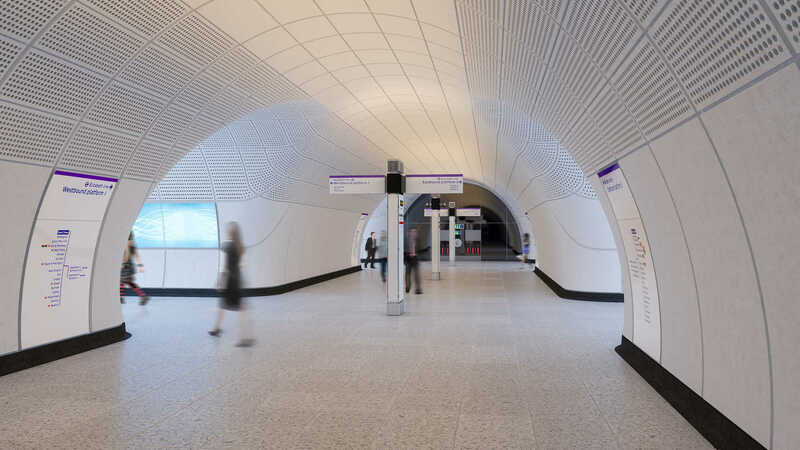 Around 200 million passengers will travel on the Elizabeth line each year so the new stations need to cope with large numbers of passengers, be easy to navigate, accessible for everyone and able to endure wear and tear. To create this transport legacy for London it is essential to ensure every fixture and component is fit for purpose, cost effective and built to last. Each of the ten new stations will have its own, distinct character, conceived by different architects which reflect the environment and heritage of the local area. For example, the new station at Paddington will echo the design legacy of Brunel’s existing building, while the new Farringdon station will take inspiration from the historic local trades of blacksmiths and goldsmiths, as well as the distinctive architecture of the Barbican. However, at platform level, common design components such as seating, signage and full-height platform screen doors will create a consistent and familiar feel to the rest of the TfL network. This common architecture will accentuate the curved, sweeping passageways created during the construction of the tunnels. The design approach aims for simplicity and clarity by reducing visual clutter as far as possible to provide clear lines of sight along the platforms. 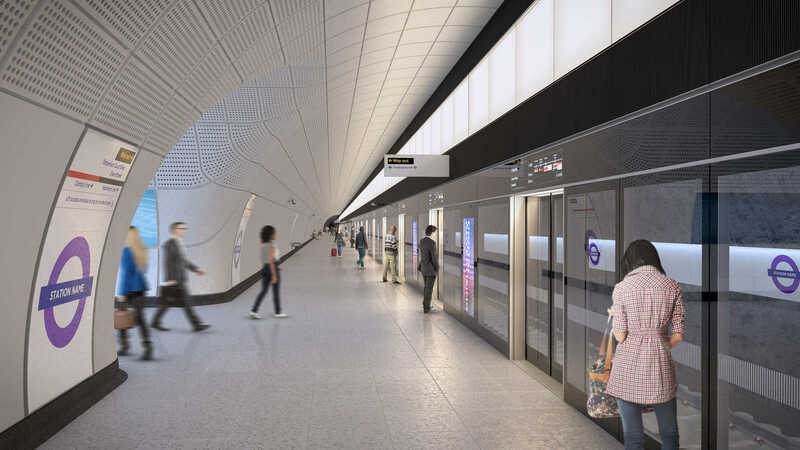 Multiple entrances and ticket halls, more space below ground and straightforward access to the rest of the transport network will ensure that Elizabeth line stations feel spacious and can cater for future growth in passenger numbers. Step free access from street to street to train and straightforward navigation will ensure that the stations are accessible for all passengers. Social, economic and environmental impacts have been an important consideration throughout design and construction as part of structures that maximise material qualities, reduce energy consumption and ensure cost efficiency. For the first time in a major UK rail project, the stations, surrounding areas, and the oversite developments, have been designed at the same time. This integrated approach improves accessibility and comfort, and will knit the new stations into their surroundings. The work, at Paddington, Bond Street, Tottenham Court Road, Farringdon, Liverpool Street, Whitechapel, Canary Wharf, Custom House, Woolwich and Abbey Wood is on a scale not seen since the Jubilee Line Extension opened in 1999.